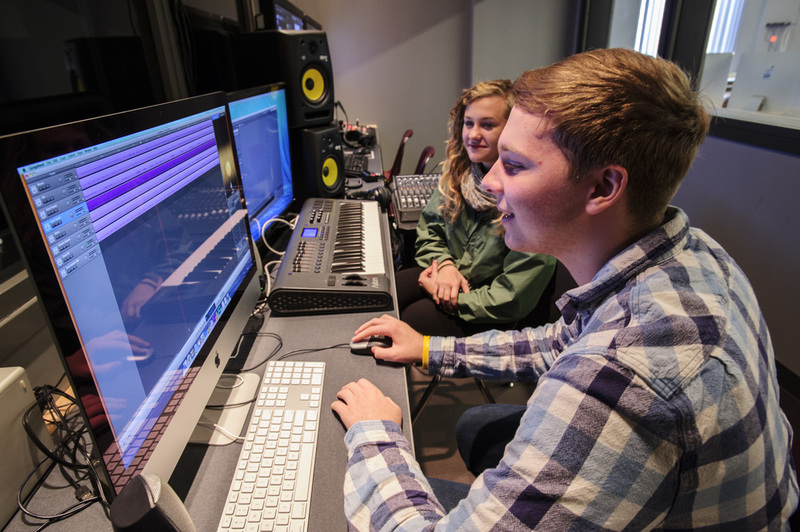 First year students in the Digital Media Arts program will learn basic skills in commercial arts production. Students will begin by learning basic design principles and move on to numerous digital media arts including commercial photography, video production, filmmaking, television, motion graphics and graphic design. Work with the latest industry technology from Adobe, Apple, BroadcastPix, Nikon and JVC. Participate in the weeklong NH1 / WLNH Children’s Auction as the live TV production crew. Become proficient at image manipulation and video editing using Adobe Photoshop and Apple Final Cut Pro. Learn basic motion graphics and special effects using Motion 5 and Adobe After Effects. Multimedia II students continue to develop knowledge in the areas of commercial photography, video production as well as graphic and motion graphic design. 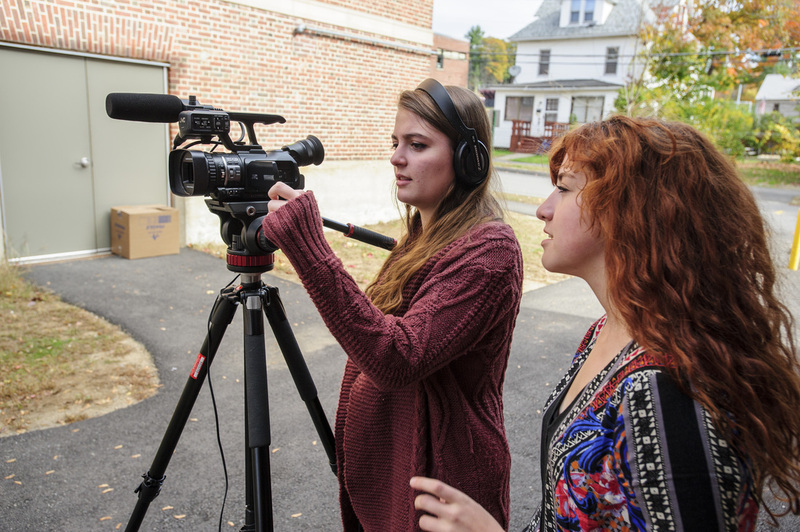 Students explore options in post secondary education and in the multimedia career fields. Students have opportunities to fine-tune their skills in the areas of the program that most interests them, as well as preparing a portfolio of their work. Students participate in the NH 1/ WLNH Children’s Auction as the live TV production crew. Explore career and college options. Become proficient at image manipulation using Adobe Photoshop and video editing using Apple Final Cut Pro, Adobe Premiere and Apple Motion 5. Students are responsible for the production of the Huot Technical Center promotional video. Students have the opportunity to produce community based videos and PSAs that are aired on Lakes Region Public Access TV.